Oh man, call this a long lost review. It's just that sometimes when you have a product and it doesnt hit the mark, you lose interest. And then you try to spice things up on the second scoop and still you wind up checking the tivo rather than blogging about it. Hey, it happens. that I never even bothered to read the product description. Hey, wait, what the scoop is this?? 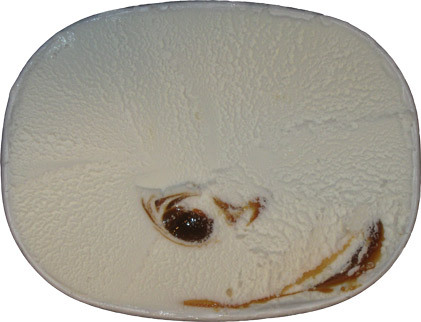 Where's my caramel ice cream with an overflowing salty caramel swirl?? 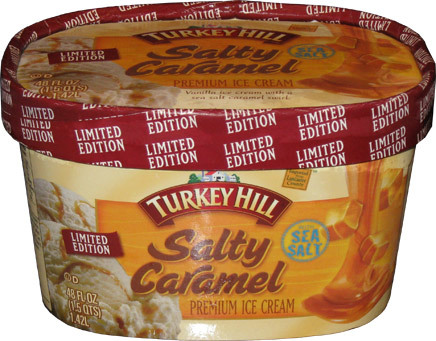 Product Description: Vanilla Ice Cream with a sea salt caramel swirl. Maybe I need to dig even deeper! That swirl in the middle is quite the puddle. Wow, this ice cream is.... quite boring actually. Well, I don't know if it is so much bad as it is not what I expected. Hmmm, let's try this again. Please take note: pre-chilling the Rolos was a DUMB idea. Ok, the second scoop was boring too. I wound out ditching the chilled rolos (I think I had frozen them). 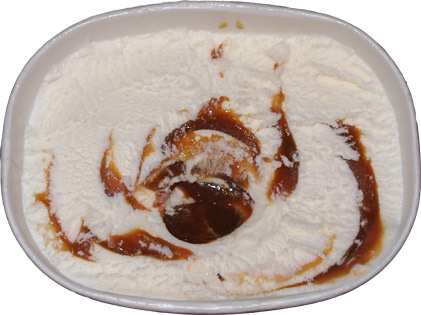 I took the remaining ice cream, swirled it all together, and finally created the caramel base I had been looking for. 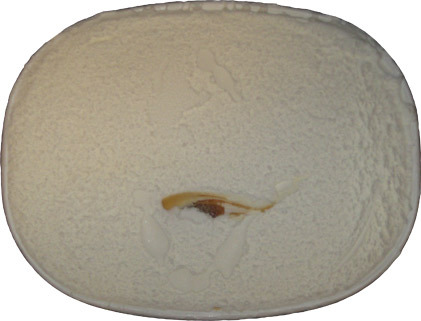 It's a fine quality ice cream and the swirl is of equal caliber, it's just not what I wanted. If there is a big blazing "Salty Caramel" in front of my eyeballs then my taste buds expected an equally salty caramel blast. Alright, I'm done. 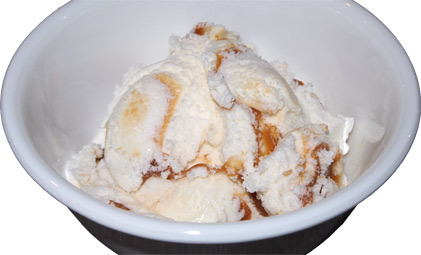 If you want a nice vanilla with some caramel on top, give this one a try, I'm sure you will like it. If you want an all encompassing caramel flavor blast, go look somewhere else. 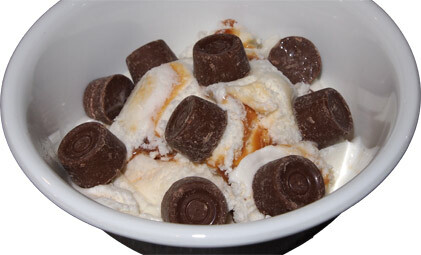 I died laughing when I saw the picture of the vanilla ice cream with smide of caramel. I remember when we were talking about this flavor last month. I'm the least bit surprised it took this long to actually review it aha. 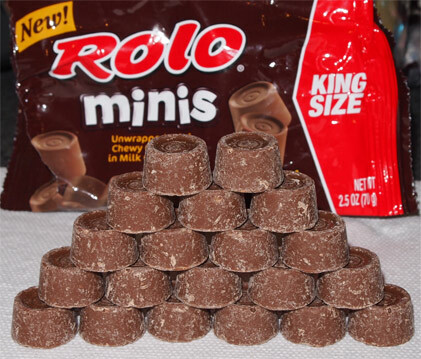 Love the idea of putting Rolos in there. Sorry it turned out to be such a boring ice cream because when I saw the name of it, I was sort of excited because I first thought of the Talenti product with a similar name. Too bad it didn't turn out like that one though. It's hard to focus with so many new products! at least I'm not the only one! you know... I am too!